LeEco Le Pro 3 AI is a variant of 2016’s Le Pro 3 featuring Artificial Intelligence or to be precise an AI assistant. It comes with a dual rear camera setup and gets processing power from an impressive 10-core chipset. On the front, the LeEco Le Pro 3 AI looks a lot like the regular variant. You will only notice slight design tweaks on the rear. It features a metal body and weighs slightly less than the Le Pro 3. It is available in gold, rose gold and black colour variants. LeEco Le Pro 3 AI also sports a 5.5-inch Full HD IPS display with 2.5D curved glass. The screen is brighter and boasts higher NTSC colour gamut, compared to the Le Pro 3. The LeEco Le Pro 3 AI drops the 16MP rear camera of the Le Pro 3. The smartphone comes instead with a pair of 13MP sensors. There is one colour lens and one monochrome lens. Camera features include phase detection and laser autofocus and dual-LED dual tone flash. You can shoot stunning 4K videos with the primary shooter. The 8MP front facing sensor with f/2.2 aperture also serves you Full HD (1080p) videos. LeEco offers two types of chipsets for its Le Pro 3 AI. The Standard model uses MediaTek Helio X23, while an Eco Edition rocks MediaTek Helio X27. Both are deca-core processors, but the latter is faster at 2.6 GHz. RAM is 4 GB and onboard storage is 32 GB or 64 GB, depending on the model you buy. But you may be disappointed to learn that LeEco Le Pro 3 AI still boots Android 6.0 Marshmallow OS. This has LeEco’s EUI 5.9 skin on top. The main selling point of the LeEco Le Pro 3 AI has to be its Artificial Intelligence (AI) feature, as its name suggests. This powers a voice assistant which the Chinese company calls LeLe. You can use it to perform different functions and can activate even without turning on the display. There is claim that it gets better over time as it learns your personal interests. The LeEco Le Pro 3 AI sheds some battery capacity, coming with a 4,000mAh juicer. It supports fast charging via a USB Type-C port. You will find its fingerprint sensor on the rear. LeEco Le Pro 3 AI is available on Jumia in Nigeria, Ghana, and Kenya. The price is around $260. 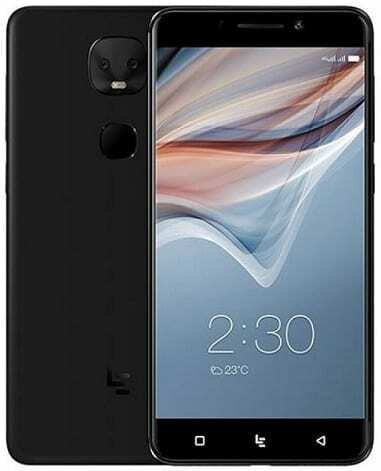 You can buy the smartphone at leading online stores in your country. LeEco Le Pro 3 AI Price in Nigeria ranges from 53,500 Naira to 75,000 Naira.